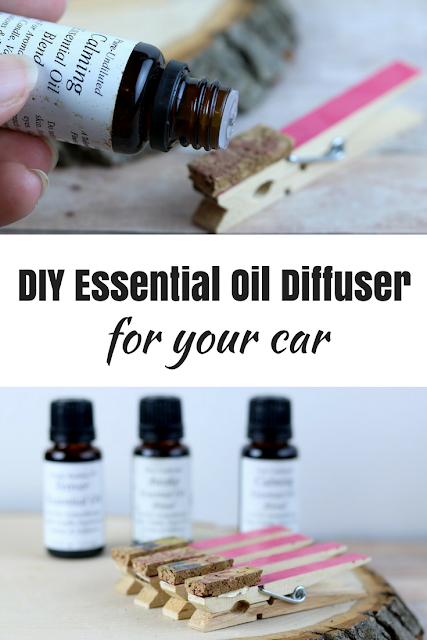 This DIY essential oil diffuser for the car is easy and inexpensive to make. I have an essential oil diffuser in my house and one in my office. 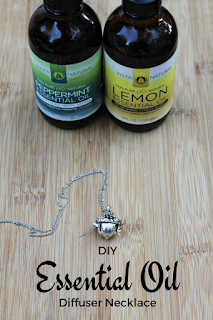 I have few diffuser necklaces so I can take my oils with me wherever I go. But I didn't have one for my car. Normally, I just diffuse for myself; however, sometimes we all need the effects of the oils. Especially on long road trips, if you know what I mean. Since I have a craft room full of supplies, I decided to make my own. I actually had everything in my stash, so I didn't even have to buy anything. This car essential oil diffuser relies on air flowing through your vents to work. They do work well, but the scent doesn't last as long as a USB powered diffuser. That's fine with me. I usually just want my oils to last for a few hours for the trip anyway. Do not rely on essential oils to keep you awake while you are driving. If you are tired or drowsy, pull over immediately and have someone else who is not tired drive or take a short nap. Always be safe! I started by measuring the width of my clothespins and cutting strips of paper in that size. Then I used Mod Podge to glue the strips on the clothespins, trimmed them, and then sealed with Mod Podge. I used a piece of 12x12 corkboard that's meant to be on the wall. I had it lying in my craft room and hadn't used it, so I sacrificed it for the project. You can use thinner corkboard if you want. I think it would also be cute with pieces of felt. You could cut felt in circles, flowers, or whatever design you wanted. I think these felt flowers would be adorable. I cut the cork into 1.5 inch sections and then glued them to the top of the clothespins. They fit snug in my car vent, so if I make them again, I'll move them back about half an inch. I made four clips and wrote the name of the oil on the back so I'm not mixing oils. Now just clip your new DIY essential oil diffuser for the car to your vents. 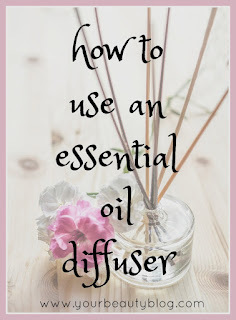 Add a drop or two of essential oils and turn on your AC or heat to diffuse the oils. Less is more when it comes to essential oils. You really only want a drop or two of oils. If it's too strong, roll down your window for a while while it dissipates. I made four clips, but I only labeled three to use for now. I can use the last one for another blend later if I want to. Vetiver is said to be calming. Diffusing it in the car can help reduce stress and anxiety, and we all know that both are likely on family road trips. Vetiver can be too calming for some people. 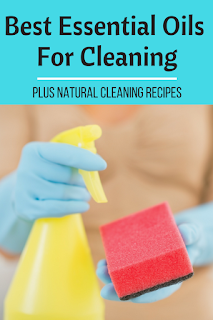 Always use it a few times in your home before you use it in the car. It helps me stay calm without making me drowsy, so I'm fine with it. I really like using the Awake Essential Oil Blend from Crafty Bubbles. This blend is great for long road trips. If stress levels get high, I use Calming Essential Oil Blend. Lavender and chamomile on their own may be too calming. I don't use these when we are driving unless they are in a blend. Don't wait to make your own DIY essential oil diffuser for the car? Amazon has two different styles. There's a vent clip that's similar to this one. It has 12 felt pads to switch out your essential oils. Or there's one that plugs into your car. It has a USB port to charge your phone too. If you'll be traveling with your essential oils, it might be a good idea to invest in a travel carrying case.